Like his previous movies, superstar Salman Khan’s latest offering Tubelight is all set for a massive opening at domestic box office. Being one of the most awaited movies of the year, this war drama is strongly buzzing among fans as well as audience from a long time. Directed by Kabir Khan, Tubelight is set in 1962 during Sino-Indian war. Along with Salman Khan in a lead role, it stars Sohail Khan, Chinese actress Zhu Zhu, Matin Rey Tangu, Mohammed Zeeshan Ayyub, Om Puri in crucial supporting roles and also has Shahrukh Khan in a cameo appearance. 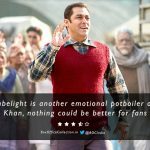 Tubelight has got ‘U’ certificate from CBFC and is being released on more than 4000 screens across the country in Hindi language. Advance booking for the movie has already been started and as expected it is witnessing outstanding pre-release response on ticket windows. Produced by Salma Khan and Salman himself under the banner Salman Khan Films, Tubelight has been promoted on a wide scale. After collaborating with UC News, it gained huge hype across the globe and also emerged as the first Bollywood movie to feature at Times Square, New York. 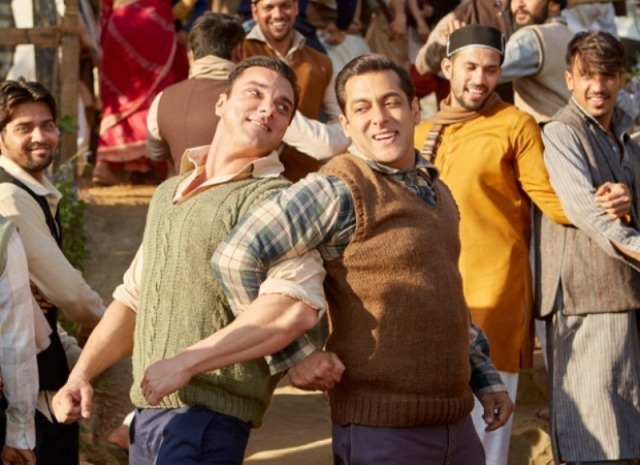 With great pre-release buzz, high screen count and huge stardom of Salman Khan, it won’t be difficult for Tubelight to take impressive opening of around 25 – 30 crores across India. It could be higher but due to Ramzaan, Muslim audience won’t be able to watch the movie before Eid. As of now SRK’s Raees is holding the top position among year’s top Bollywood openers with the opening business of 20.42 crores. Talking about Hindi Cinema, then last month released mammoth Baahubali 2 (Hindi) is at the first position with 41 crores of opening. So if Salman Khan’s Tubelight takes the similar start as expected, then it would become the biggest opener of the year in Bollywood and second biggest in Hindi Cinema. On Monday due to Eid, it could go past 40 crores. Official ticketing partner Paytm also expects the movie to be one of the highest grossers of 2017. Tubelight is the third collaboration of Salman Khan with director Kabir Khan. Their previous movies together 2012’s Ek Tha Tiger and 2015’s Bajrangi Bhaijaan were blockbusters and did the opening business of 32.93 crores and 36.54 crores respectively.